It’s hard to resist a pasta dish that looks so vibrant and delicious. With a wide variety of pasta’s shapes and textures to select from, we never get tired of trying new flavors and ingredients. This very simple and balanced dish is one you can make in under 30 minutes, perfect for the busy individual. Cook bow tie pasta according to the package directions. Drain and set aside. 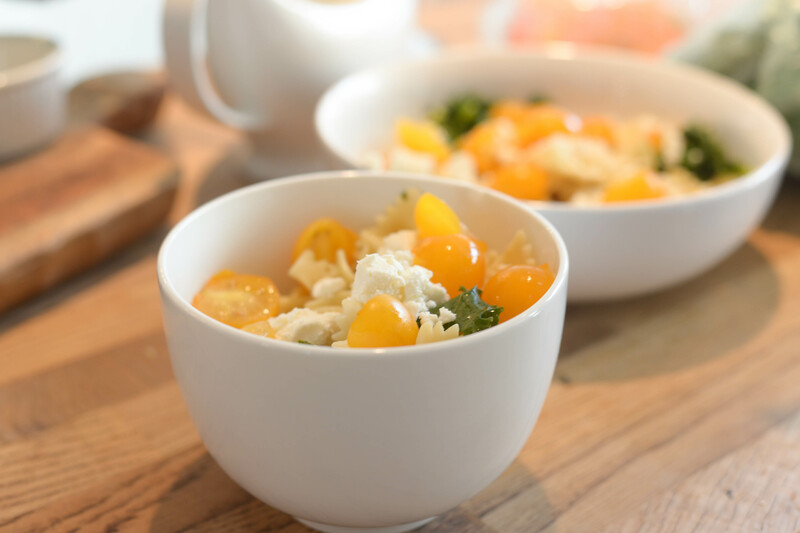 In a large bowl, combine the tomatoes, spinach, parsley, and well-drained pasta. To a small bowl, add the extra virgin olive oil, salt, and pepper. Gradually add the oil mixture to the large bowl while whisking constantly. Add feta cheese and toss gently to combine.